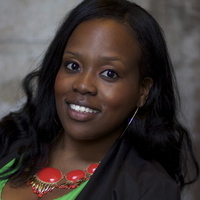 “I AM TRAINED TO LISTEN TO WHAT IS NOT BEING SAID.”My name is Diana Jean-Louis and I am a Licensed Clinical Social Worker (LCSW) in the State of Illinois with over 8 years of social work.I graduated from Loyola University Chicago with a Bachelor Degree in Social Work and a Masters in Social Work (MSW). I also have a Masters in Jurisprudence (MJ). Treatment is client centered and is tailored to the specific needs of the individuals and families. I am a strong believer that the relationship between the therapist and client is essential in order to provide effective and appropriate services. Privacy and confidentiality are guaranteed.